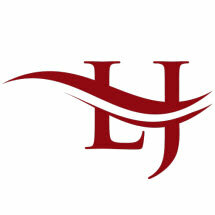 Lynn A. Johnson Law Office, LLC, is a general practice law firm in Slayton, Minnesota. We represent clients throughout southwest Minnesota in a wide range of legal matters, from probate and estate administration to divorce to real estate and farm disputes. Since our founding in 1996, we have developed a solid reputation for providing exceptional client service. Our firm pairs small-town service with big-city skills and knowledge. We utilize up-to-date technology to gain an edge in handling client matters with efficiency. Our talented team of local attorneys and professional staff share a strong work ethic. We are committed to providing reliable, high-caliber service in the many areas of law we practice, including wills and trusts, probate and estate administration, and farm inheritance disputes. Our lawyers have deep roots in the community and are intimately familiar with area courts. We possess an in-depth understanding of the legal issues that residents, farm owners and landowners in rural southwest Minnesota commonly face. We also assist out-of-state clients who own real property in the area. At Lynn A. Johnson Law Office, LLC, we help clients feel at ease from the moment they step through the door. No matter the difficulty or complexity of your situation, you can feel assured that your legal needs are in good hands. We consistently follow through on our commitments and provide prompt responses to clients' questions and concerns. From our office in Slayton, we represent clients throughout southwest Minnesota. We are readily willing to travel throughout the area. To arrange a consultation with one of our attorneys, call 507-873-4034.